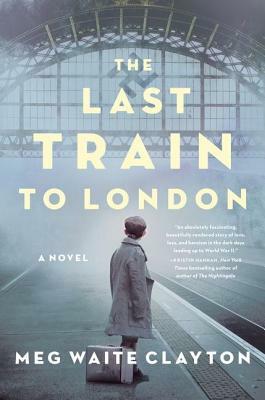 The New York Times bestselling author of Beautiful Exiles conjures her best novel yet, a pre-World War II-era story with the emotional resonance of Orphan Train and The Nightingale, centering on the Kindertransports that carried thousands of children out of Nazi-occupied Europe—and one brave woman who helped them escape to safety. In 1936, the Nazi are little more than loud, brutish bores to fifteen-year old Stephan Neuman, the son of a wealthy and influential Jewish family and budding playwright whose playground extends from Vienna’s streets to its intricate underground tunnels. Stephan’s best friend and companion is the brilliant Žofie-Helene, a Christian girl whose mother edits a progressive, anti-Nazi newspaper. But the two adolescents’ carefree innocence is shattered when the Nazis’ take control. There is hope in the darkness, though. Truus Wijsmuller, a member of the Dutch resistance, risks her life smuggling Jewish children out of Nazi Germany to the nations that will take them. It is a mission that becomes even more dangerous after the Anschluss—Hitler’s annexation of Austria—as, across Europe, countries close their borders to the growing number of refugees desperate to escape. Tante Truus, as she is known, is determined to save as many children as she can. After Britain passes a measure to take in at-risk child refugees from the German Reich, she dares to approach Adolf Eichmann, the man who would later help devise the “Final Solution to the Jewish Question,” in a race against time to bring children like Stephan, his young brother Walter, and Žofie-Helene on a perilous journey to an uncertain future abroad. Meg Waite Clayton is the New York Times bestselling author of four previous novels: The Four Ms. Bradwells; The Wednesday Sisters; The Language of Light, a finalist for the Bellwether Prize; and The Wednesday Daughters. She's written for the Los Angeles Times, the New York Times, the Washington Post, the San Jose Mercury News, Forbes, Writer's Digest, Runner's World, and public radio. A graduate of the University of Michigan Law School, she lives in Palo Alto, California.